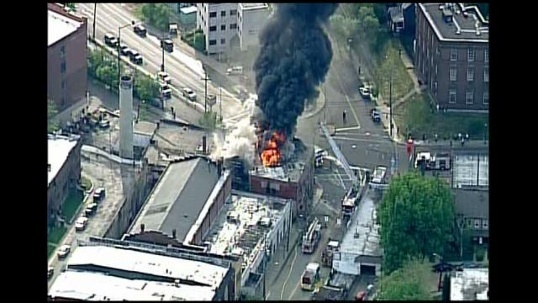 For Christians, this is Holy Week. For Jews, this week is Passover. Two thousand years ago, these were the same events: Jesus’ celebration of Passover was at the center of the original Holy Week. Yet this week our Holy Week services at our church in Squirrel Hill will have a distinctly Christian flavor, while the Jews in our neighborhood will celebrate Passover according to their traditions. And though these two celebrations are deeply related, most of us will remain ignorant of what our neighbors are doing. Why is this? Should it really be this way? 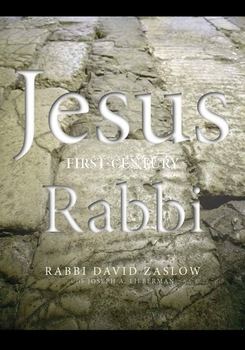 Rabbi David Zaslow’s book Jesus: First-Century Rabbi seeks to remedy this ignorance by reminding its readers of the common heritage of Judaism and Christianity. Jesus was thoroughly Jewish, and so were the first “Christians.” But since the first-century, the divide has continually grown between followers of Jesus and Jesus’ Jewish brothers and sisters. In some cases, this has led to tragically violent manifestations of anti-Semitism. Seeking to build bridges between Jews and Christians, Zaslow writes from a place of optimistic belief that deeper understanding of each other’s faiths can help lead us to greater harmony, calling us to “ask God together to turn Constantine’s sword into a pruning hook” (p.xxiv). This worldview in which zikarone makes the past present is the same worldview that enabled early Christians to speak of the “real presence” of Jesus in the bread and wine of communion. Though it runs contrary to the sensibilities of many modernist Protestants, this “spiritual time machine” was part of the worldview of the early Christians and is at the root of our practice of the Lord’s Supper. Zaslow of course presents many other interesting examples of Jewish roots of Christian teaching which make it worth reading. But I have to observe that Jesus: First-Century Rabbi also has a few serious limitations. As a Christian, I found myself objecting to many of the caricatures of Christian theology Zaslow makes when comparing Christian beliefs to Jewish beliefs. There’s not room even in 200 pages to accomplish what Zaslow sets out to do, so doctrines such as the Trinity receive only two pages. Zaslow himself acknowledges his limits in the book’s introduction, and asks his readers to grant him some poetic license. I can do that in many places, but not all. I struggled especially with Zaslow’s very short chapter on the Apostle Paul. Describing Paul as “antinomian,” Zaslow wonders, “Did Paul really love his own Jewish faith,or was he just pretending to practice Judaism in order to win people over to the new gospel?” (p. 174). Such a question reveals a very shallow reading of Paul. Zaslow makes no mention of Romans 9-11, where Paul himself shares his theology of the relationship between Judaism and Christianity and expresses a deep yearning for his brothers and sisters to see Jesus as Lord. Why would Paul pretend to be Jewish when all that brought him was persecution? As he lists in 2 Corinthians 11, Paul endured floggings, stonings, sleeplessness, and hunger for the sake of telling others about Jesus. Zaslow writes wisely earlier in the book that “Christianity is at its best when it is expressed from the cross – from the place of sacrifice, suffering, failure, and not from a position of power” (p. 130). This was exactly the position taken by the Apostle Paul, who suffered even to the point of martyrdom for his faith in Jesus. While I admire Zaslow’s bridge-building intentions, and am grateful for the insights this book gave me into the Jewish roots of Christianity, I cannot minimize the differences between our faiths as Zaslow wants to do. I grant that Jesus: First-Century Rabbi was supposed to be about the Jewishness of Jesus, not Paul, but Zaslow’s difficulty with Paul still reveals how great the difference is between Christianity and any other faith. So much depends upon how we answer Jesus’ question: “Who do you say that I am?” Zaslow writes from the perspective of one who believes Jesus was a righteous Jew. I read this book from the perspective of someone who believes that Jesus is the Son of God incarnate. I pray that this Passover, this Holy Week, God will grant Christians and Jews the grace to learn from each other and grow in relationship, while still answering Jesus’ question clearly and honestly. Who do we say that he is? Thank you to Paraclete Press for sending me a review copy of Jesus: First Century Rabbi. When someone first visits The Upper Room, that person may not realize they’re in a Presbyterian congregation. It’s not because we hide that affiliation. We do talk about our connection with the denomination and our Presbyterian partner churches, and we share our gratitude for their support. But our worship services deliberately don’t feel like they come from any particular brand of Christianity. The focus is on Jesus, revealed in Word and Sacrament. No one comes to Upper Room because they want a Presbyterian church. We come because we’re seeking Jesus. While this lack of exclusive identification with a particular denomination is characteristic of our younger demographic, we’ve been shaped by historical forces that have been at work for centuries. American denominational relativism has its roots in events that took place three hundred years ago, such as the surprisingly trans-denominational Great Awakenings. This week I read The Divine Dramatist: George Whitefield and the Rise of Modern Evangelicalism by Harry S. Stout. 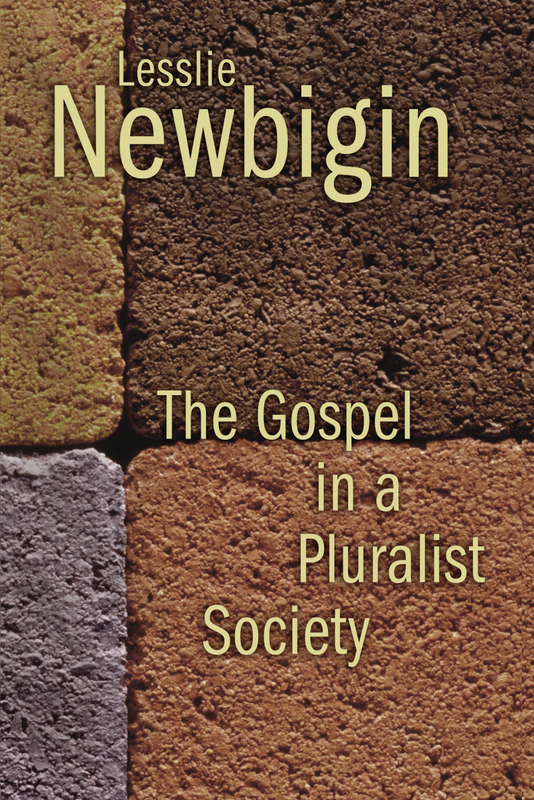 (This book – and the one I wrote about last week, and the one I’ll write about next week – is part of the American Religious Biography class that I’m taking over at Pittsburgh Seminary.) Whitefield was ordained as an Anglican priest, but his itinerant preaching ministry brought him into fellowship with all branches of Protestantism throughout England and the colonies in the middle of the eighteenth century. In the evangelical parachurch, individual experience became the ultimate arbiter of authentic religious faith. Experience . . . came to be the legitimating mark of religion over and against family, communal covenants, traditional memberships, baptisms, or sacraments (p. 205). Stout’s biography of Whitefield can be seen as an extended illustration of how this shift played out in the culture of the revivals. Whitefield prized his own religious experience, treasuring the exhilarating highs he experienced while preaching as evidence of God working in him. Whitefield valued this experience over family, being an absentee husband to a wife who could not come along for his endless travels. Concerning the sacraments, we’re left to assume that Whitefield deliberately chose not to over-think them. Stout disappointingly explains very little of Whitefield’s thoughts on the sacraments, but the fact that Whitefield was quite comfortable with Christians in traditions who understood the sacraments differently suggests that he saw them as secondary to the feelings engendered by passionate preaching of the Gospel. It wasn’t that theology didn’t matter for Whitefield. He was a Calvinist who did not shy away from criticizing his friend John Wesley that Wesley’s ideas of Christian perfection. But Whitefield refused to connect his revival preaching to any one denomination. As Harry Stout poignantly observes, Whitefield also resisted the temptation to found his own denomination when he easily could have. One could be a Calvinist Anglican, or a Presbyterian, or a Congregationalist, and never feel that Whitefield was calling one to change denomination affiliation. In fact, at Whitefield’s funeral, an ecumenical mixture of pastors from those three denominations served as pallbearers for Whitefield’s body (Stout pp. 280-281). This matters for us today because many of these same values have been passed on through successive generations in American Christianity, for good and for ill. On the one hand, American evangelicalism still emphasizes the centrality of the Gospel rather than one exclusive institutional structure of the Church. On the other hand, these truths mean that many American Christians have a very shallow sense of ecclesiology. When we value personal experience over corporate experience, it’s easy to become consumers of religion. We “shop” for churches that meet “our needs,” or we seek entertainment in the musical or preaching styles of a congregation. This isn’t entirely bad. Whitefield did genuinely touch lives for Christ through his entertaining preaching. As the Apostle Paul wrote, what matters is that, “Christ is preached, and in this I rejoice” (Phil 1:8). But giving personal experience of faith priority over corporate experience of faith means we may under-value the importance of the Church. While this is the legacy American Protestants and evangelicals have inherited, we should be discerning in which parts of it we pass on. To be true to Whitefield’s legacy, we should remember that he was a loyal Anglican up to the point of his death. He chose to remain loyal even though jealous Anglican bishops actually incited mob violence against him and other revival preachers in England. Whitefield was among the early Methodists, a group which began as a revival-oriented anti-institution strain within the Anglican Church. In such a role, he challenged the institution, but did so in loyal opposition. This suggests to me that Whitefield recognized his place in the Body of Christ. He knew the Body of Christ was larger than the skeleton of one denomination, so he could preach Christ to anyone who was willing to listen, and act charitably to (almost) anyone who believed in the same Lord. But he also knew that the Body needed structure, and that it would be inappropriate to say to that he, as a unique member of Christ did not belong to the rest of the Body (cf. 1 Cor. 12:15-20). In the face of all the individualism and entertainment that Whitefield ushered into the American Church, let’s not forget his deep sense of the necessity of connection to other believers. Today is All Saints Day, the day when the Western Church remembers and celebrates all of the holy people through whom God has graced the Church throughout its centuries. I’ve observed this holiday casually in the past, but this year it’s taking on a new depth of meaning for me. Yesterday, I shared a post at the Conversations Journal Blog called “All Who Walk in the Way of Perfection.” In it, I wrote about how I’ve developed a relationship with St. Mark the Ascetic, or “Mark the Monk.” And I think relationship really is the proper word. As Valerie Hess says in her All Saints Day post on the Conversations blog, the dead saints are alive in Christ, and the communion of saints which we confess in the Creed means that these heroes of the faith means that we can relate to them now just as we relate to our living brothers and sisters in Christ. Mark says the apostles and saints take responsibility for us and our sanctification. This is in no way to suggest that they replace Christ as Savior, of have any power of their own to save us. But they are teachers with whom we can have personal relationships. Just as a teacher bears responsibility for his or her students, the saints bear responsibility for handing on the faith to us, and we bear the same responsibility for the sanctification of those whom we influence. At its best, this responsibility takes the form of conformity to the likeness of Christ, with these wise teachers laying down their lives for future generations of the Church, imitating and participating in what Christ did for all of us. The saints teach not in an impersonal way, merely passing along objective knowledge, but in a profoundly embodied way, suffering to bring us the Word. This means that celebrating the communion with the saints is about more than recalling their examples. It’s about entering deeper into relationship with brothers and sisters in Christ who have shared Christ with us through their own sufferings. When we read the New Testament epistles, we’re direct beneficiaries of the sufferings Paul endured which shaped him into the likeness of Christ. Reading this quote from Mark together, we are all personal and direct recipients of the wisdom gained through Mark’s ascetic struggles. Twenty centuries later, those who read about the life of Mother Teresa become beneficiaries of her sufferings, gaining inspiration or encouragement from her. And each of these saints had earlier saints from whom they directly benefited. Mother Teresa was inspired by St. Therese of Lisieux. Mark the Monk may have been a disciple of St. John Chrysostom. When we look the holy examples of the great cloud of witnesses around us, we in turn are shaped to become such witnesses for others. And as we’re shaped to become such witnesses, we start to bear the same responsibility to allow others to profit from our pursuit of Christ and sharing in His sufferings. Such grace and such responsibility fills me with thankfulness to God, and to all the saints. Let us keep the feast.